Bible Reference: In Revelation chapter 18, cinnamon is mentioned as a valuable spice. The Story: When John wrote Revelation, he prophesied the end of Rome and the Roman Empire. At the same time, John was writing under the direction of the Holy Spirit; therefore, his writings could refer to world systems which operate today or in the future. From this perspective Revelations 18 could predict a future collapse of the commercial-economic systems of the world from the perspective of world leaders, merchants, and individual involved in commerce on the seas. These verses demonstrated the inter-connections of politics and trade, with an immediate application to shipping. All countries are connected by shipping, e.g., the United States gets oil from the Middle East, clothing from China, and ships food to African countries and coal to Asia. The fall of naval commerce will have national and worldwide effects. Within each country, individual jobs and buying power will be cut. Taxable income will be reduced, national debt will increase, and banks will fail. Private industries, e.g., the health care industry which consumes about 15 percent of the U.S. gross national product, will be curtailed severely. Eventually, governments will collapse. John prophesied that when commerce failed, there would be no cargoes of cinnamon and spice. Most of us could get along without spices; it is difficult to imagine why cinnamon was mentioned in a list of valuable cargo items. Yet, in the Biblical world, the cinnamon trade was huge. Tons of cinnamon used for rituals, medicine, and everyday purposes. Egyptians used cinnamon in embalming potions. 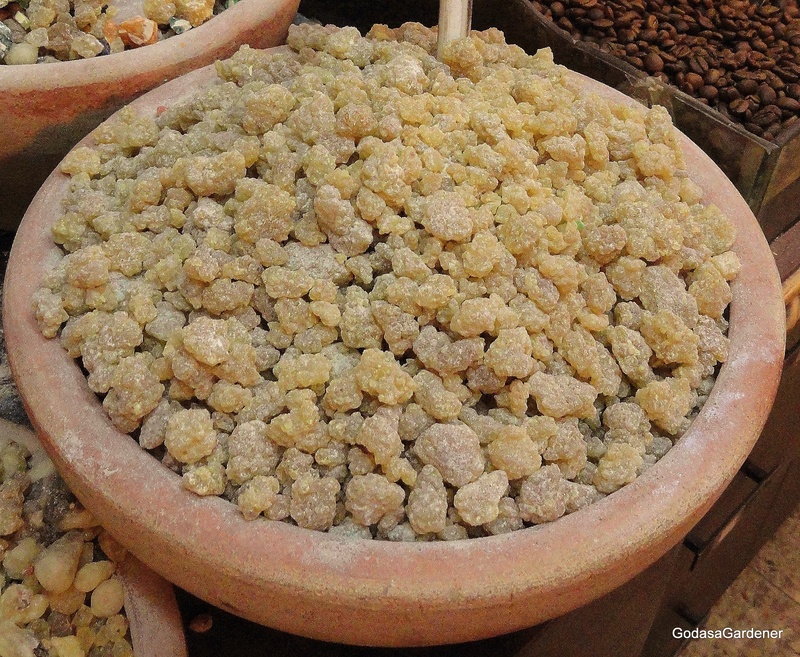 Cinnamon was a key ingredient in the Tabernacle anointing oil (Exodus 30:23-25). Medically, cinnamon was used to reduce inflammation, promote menstruation, and stimulate the urinary tract. Along with other perfumes, cinnamon was used to perfume bed linens and clothing (Proverbs 7:17). Cinnamon was used to mask smells. In the first century Pliny wrote that the market price for an Egyptian pound (350 grams) of cinnamon was over 1000 denarius or about 2.5 years wage for a typical Hebrew worker. The Bible cinnamon was Cinnamomum zeylanicum, also known as Cinnamomum verem. Cinnamon is an aromatic tree bark used as a spice. 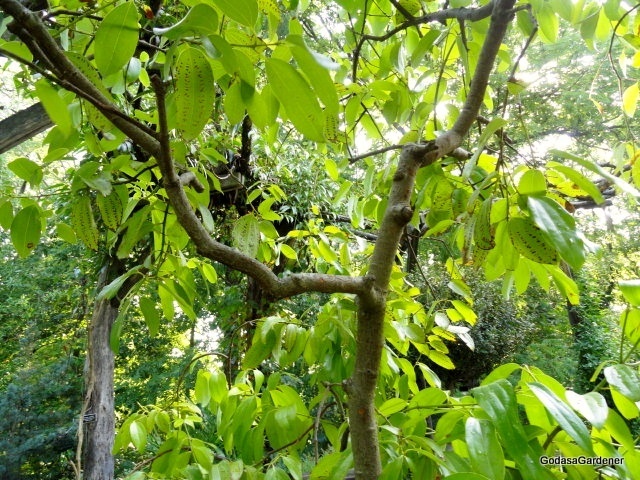 The cinnamon tree was native to Sri Lanka (formerly Ceylon) and the southeast coast of India. Today, all commercial cinnamon grows in plantations. 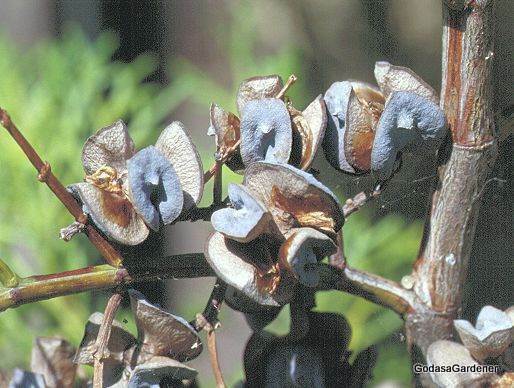 The cinnamon tree does not grow naturally in Israel; however, in 2012 the Jerusalem Botanical Garden we saw small specimens in the Conservatory. The cinnamon tree is a small, bushy, and evergreen. 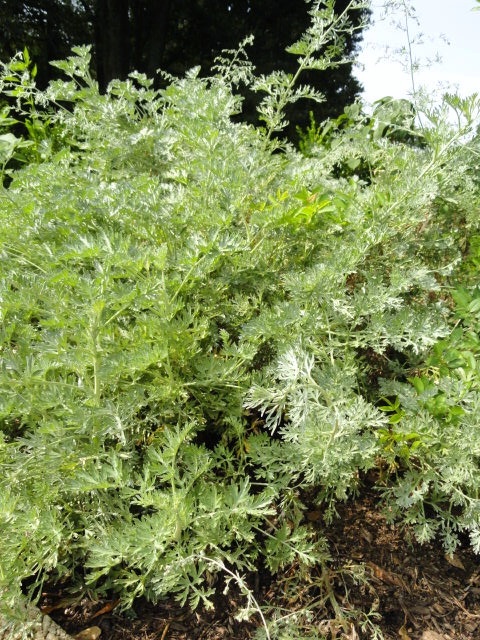 It grows 30-40 feet tall, often with wide spreading branches. Young branches, or shoots, are crimson often with dark green and orange spots. As bark matures, it turns pale brown (ash). Mature bark is rough to the touch because it is covered with raised dots, scales, and points. 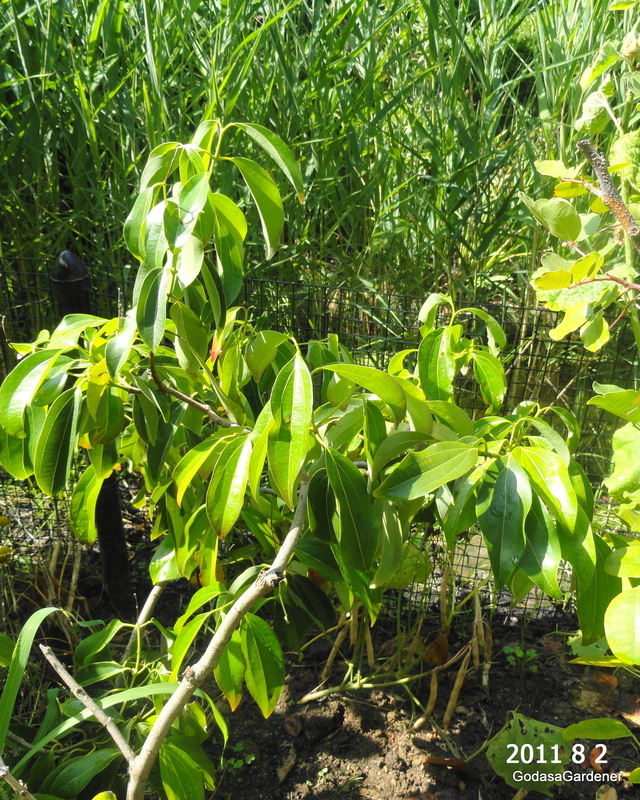 Cinnamon trees are harvested in their third year of growth. After two years, the tops of trees are pruned. The third year, small shoots appear. These shoots are stripped and the thin inner bark is peeled from the tree. During the peeling process, the inner bark curls into the “stick” shape associated with cinnamon. Arguably, cinnamon is synonymous with spice; certainly cinnamon is the definitive spice. The archaic meaning of spice is a small portion or quantity, a dash; or something that gives zest, i.e., to food or life. In the end times, commerce will cease. An imported product, cinnamon will be unavailable for cookery and for perfumes that scent candles, potpourri, and individuals. This dash or bit of zest will be absent from our individual lives. Christians may or may not be in the world when the commerce-economic systems fails; however, to Christians having or not having cinnamon, luxury items, or even the basic necessities of life is not as important as having Christ. Christ is not just a small portion, or dash, of spice in Christian lives. Christ is omnipresent. For Christians, Christ is their world view. Reflection: Is your life zestful? Copyright: November 8, 2014, Carolyn A. Roth. In Revelation chapter 18, cinnamon is mentioned as a valuable spice. When John wrote Revelation, he prophesied the end of Rome and the Roman Empire. At the same time, John was writing under the direction of the Holy Spirit; therefore, his writings could refer to world systems which operate today or in the future. From this perspective Revelations 18 could predict a future collapse of the commercial-economic systems of the world from the perspective of world leaders, merchants, and individual involved in commerce on the seas. John wrote Revelation near the end of the first century. At that time, the Roman Empire was the dominant geographic-political entity, stretching from Britain, through Europe, and into the Middle East. In Revelation 18, John prophesied the end of Rome and the Roman Empire; however, the Roman Empire did not end for about another 375 years. In 476 A.D., Rome fell when the last western emperor, Romulus Augustus, was deposed by the Hun general, Odoacer, who then ruled Italy. Revelation Chapter 18 contains three laments; one by the kings of the earth (Revelation 18:9-10), one by the merchants of the earth (Revelation 18:11-17), and another by sea captains, sailors and all who earned their living from the sea (Revelation 18:18-20). The merchants of the earth are crying out because Romans (and its Empire) no longer buy their cargoes. These cargoes include precious metals and stones, linen and cloths, every sort of citron wood and articles of every kind made of ivory and costly wood, spices and food products, horses and carriages, and slaves. During the Roman Republic, elite members of society were known for their sumptuous banquets. The best banquet tables were made of citron wood because the wood did not stain when wine and other food was spilled on them. The Roman philosopher and statesman Cicero (106 B.C.-43 B.C.) recorded that a citron wood table could cost as much as 1.3 million sesterces. To put this amount of money into a New Testament framework, this citron banquet table was valued at an amount equivalent to 20 Jewish workers each laboring 45 years (assume: 1/4 of a denarius equaled 1 sesterce and a typical Jewish laborer earned 1 denarii per day). Citron wood comes from the Tetraclinis articulata tree which most of us call the sandarac gum tree, thyine wood, or the thuya. T. articulata is the sole species in this genus of plants. It was native to the western Mediterranean region particularly southern Spain, Morocco, Algeria, Tunisia, and Malta. The expansion of agricultural activity, over grazing, urbanization, exploitation, and fires have reduced the number of sandarac trees. 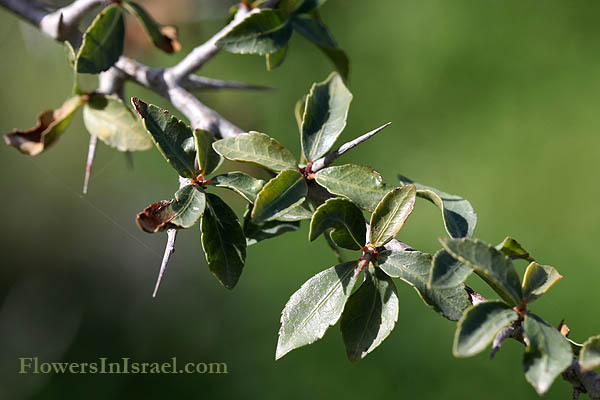 In Israel, the sandarac grows in Galilee and the northern valleys, central hills (Carmel) and in the entire Negev desert area. It can grow in rock fissures and rocky slopes. T. articulata is an evergreen coniferous tree in the cypress family. In the Roman Empire, citron wood was a luxury item. A luxury item is an indulgence that provides pleasure, satisfaction, or ease. To wealthy Romans, a citron wood banquet table provided all three of these. These wealthy Romans and their decadent ways were the same individuals that persecuted early Christians, laughing when Christians were killed in the Coliseum. Their self- indulgence led to the downfall of Rome. Reflection: Do you pay more attention to: acquiring luxury items or walking in the Spirit? Tagged Bible Plant, Bible Study, Christian Church, God as a Gardener, New Testament, Revelation, Rooted in God, sandarac gum tree, St. John, Tetraclinis articulata, thine wood, thuya.